I went swimming yesterday and decided to wash my hair with a clarifying shampoo. 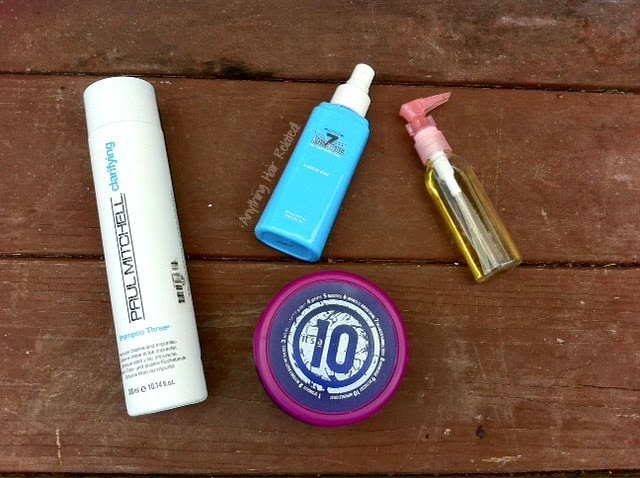 Paul Mitchell Shampoo Three removes chlorine from the hair, which makes it great for use after swimming. After shampooing, I used my it's a 10 miracle hair mask to soften my hair. After rinsing, I applied my Naturelle Grow deep conditioner and my hair was soft on CONTACT. I really can't say enough great things about this conditioner. After about 15 mins under my shower cap, I detangled my hair in the shower with my wide tooth comb, and two-strand twisted my hair in sections. I normally never detangle my hair while its soaking wet, but my hair was super detangled from the conditioner already. I rinsed the conditioner out while my hair was twisted and dried my hair with a T-Shirt. For my leave in, I chose to use my miracle 7 leave in mist and olive oil/coconut oil mixed in a bottle. 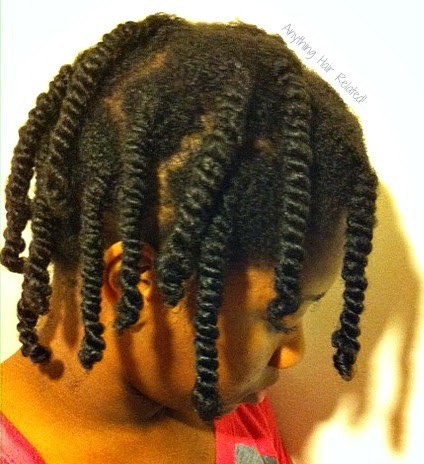 (Miracle 7 is a dupe for It's A 10 Miracle Leave in) I untwisted each twist, applied leave ins, and re-twisted. Then I lightly blow dried each twist with my Yellow Bird blow dryer with comb attachment. Lastly, I simply brushed my hair into a ponytail using my tangle teezer. Then used a mesh bun to mold my hair into a bun. I didn't use any product to smooth my hair which is why it's not as smooth as it could be. Still nice though because I haven't worn a bun in a while. Different but nice. 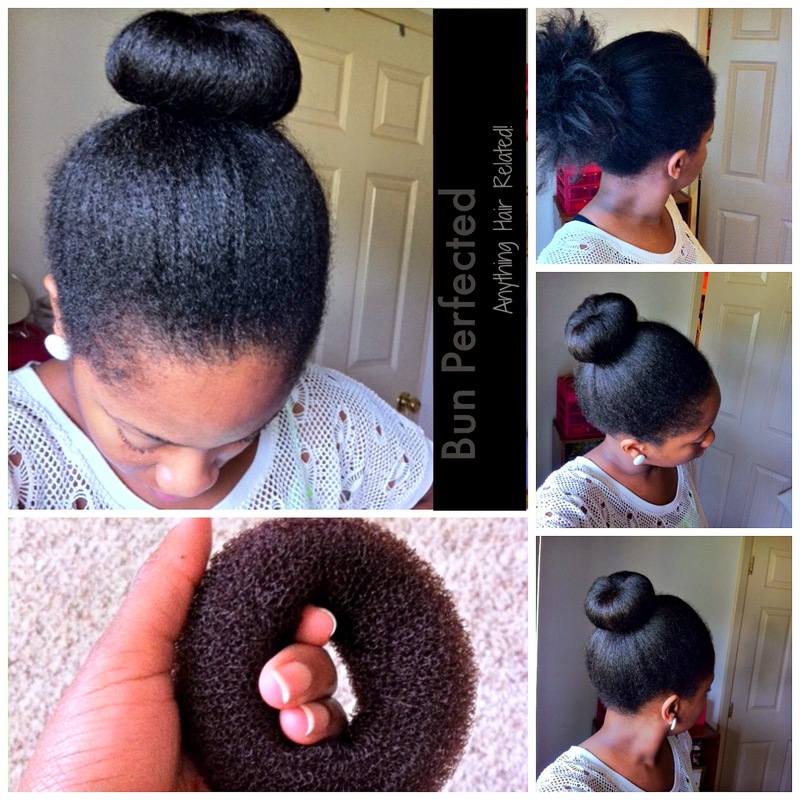 Voila....bun perfected. 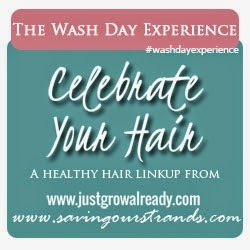 Share Your Wash Day Here! 4 comments on "Wash Day"
No problem and thank you for commenting as well. My review of the NaturelleGrow DC will be posted no later than tomorrow at midnight. Please check back.